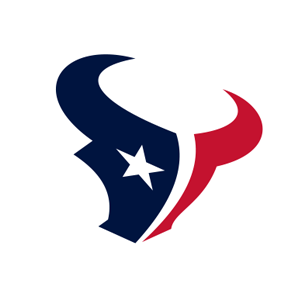 The Houston Texans promote responsible drinking and positive fan behavior at NRG Stadium. The Texans Fan Code of Conduct and the details of the Texans alcohol management plan that appear below ensure that fans have a safe and fun experience. Reliant Stadium is a fan-friendly environment. We are committed to creating a safe, comfortable and enjoyable experience for everyone. Our staff will proactively intervene to support an environment where the game will not be disrupted by the interference of guest actions or any unauthorized persons on the playing field. This includes refraining from obscene or indecent language and gestures, as well as inappropriate clothing. All guests must show their ticket when requested and only sit in their ticketed seat. The Houston Texans Two Strike Program allows for a warning to fans who are disruptive or acting inappropriately by giving out a yellow card with a reminder about our Fan Code of Conduct. However, if a staff person must approach someone a second time during a game for inappropriate behavior, the fan will be required to leave Reliant Park property. Any fan acting in a disruptive manner will be asked to leave immediately. Evicted guests are not welcome to return for the remainder of the game and may be subject to further disciplinary action, including the revocation of season tickets. To contact someone during a game in the event of an emergency, please visit a Guest Services Information Booth or call 832.667.1400. Pages will only be made for emergency situations. If you are anticipating an emergency phone call, please report your name and seat number to the Guest Services Information Booth so you can be easily located. Fans are encouraged to report violation of the Fan Code of Conduct. To contact someone during a game in the event of an emergency, please visit a Guest Services Information Booth. There are 8 locations of the Bud Light “Good Sport” designated driver program at Reliant Stadium. Fans who pledge to be designated drivers receive a complimentary soft drink and a chance to be selected as the Designated Driver for the Game. Designated Drivers for the Game are recognized on the stadium video board and receive a special prize from the Texans. Continuing for the 2016 NFL season, the Houston Texans are facing off against the Tennessee Titans in the Bud Light Good Sport Designated Driver Challenge. Texans fans who pledge to be designated drivers at Reliant Stadium earn the Texans a touchdown (6 points) in the Challenge. Texans fans who “Like” the Texans Designated Driver Challenge Facebook page earn the Texans an extra point in the Challenge. Please make the pledge to be a responsible Texans fan and help the Texans win the Challenge!